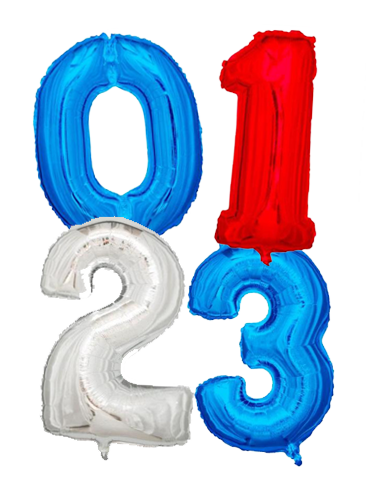 Have a look at our wide selection of foil balloons – we might already have one for your favourite sports team, or your child’s birthday party. We have licensed designs and original ones too. 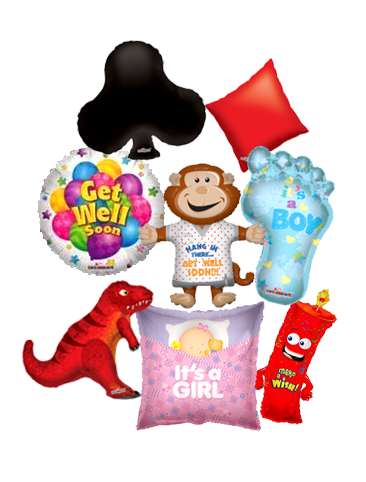 There are pre-printed foil balloons to celebrate newborn baby boys and girls, get well soon balloons, birthday balloons and many more that can add a unique flair to your event. 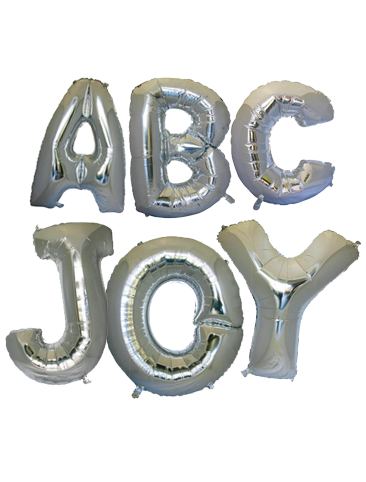 Foil balloons are perfect decorations for your parties or events. High quality and reusable, they add flair to any event. Choose a custom printed foil balloon to add your own art to them! Have them at your wedding, your sporting event or your product demonstration, the possibilities are limitless. 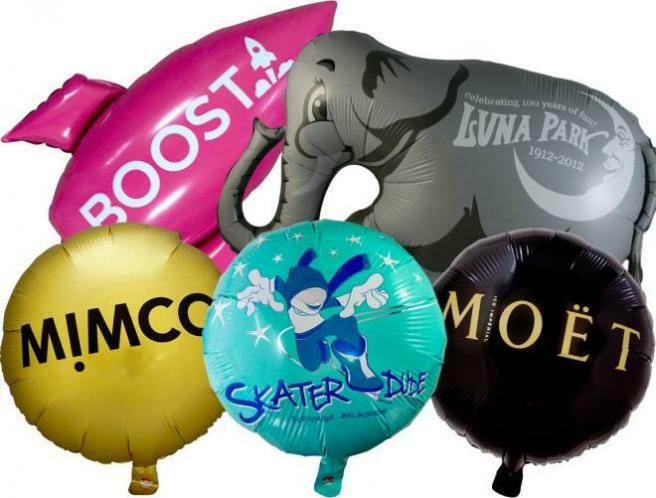 High quality and helium safe, they are sturdy and reusable, and make a perfect promotional item. 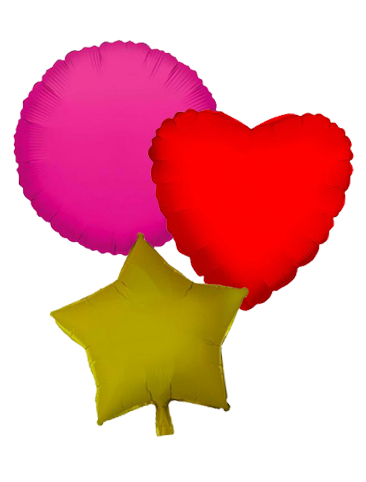 Larger than standard latex balloons they are a great way to really draw the eye, capture the attention of that certain someone on Valentines Day, or use them to promote your sports team, small business or your website. If regular round balloon are not enough for you, why not talk to us about creating your very own custom shaped foil balloons. We can create almost any shape, from dinosaurs to logos, words and numbers to product replicas. Pair that with the wide variety of colours available and your imagination is the limit! Order Your Foil Balloons Today! 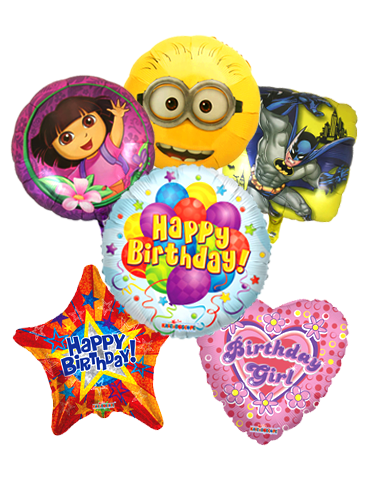 Check out below our wide variety of foil balloons you can choose from and impress your customers, family and friends... 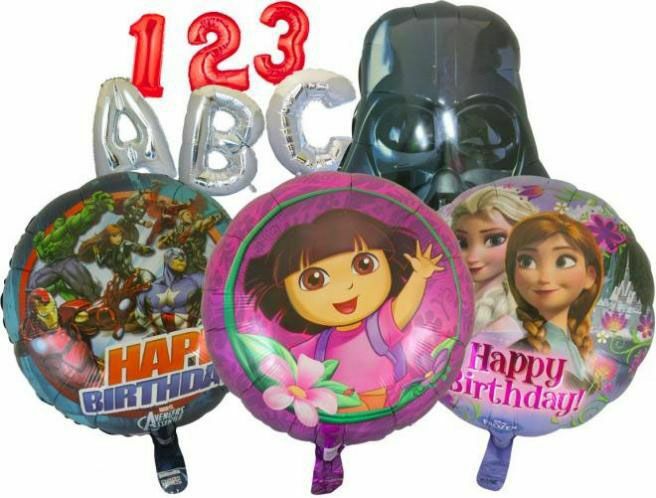 Call us up now at 1300 720 230 or visit our online shop to check out our other huge variety of balloons.